Total Diesel Service is a Romanian - English company established in 2000. With over 12 years experience of diagnosing and repairing diesel fuel injection systems, our aim is to source and supply leading edge technologies to the automotive and industrial trade, to give our customers peace of mind whilst saving money. 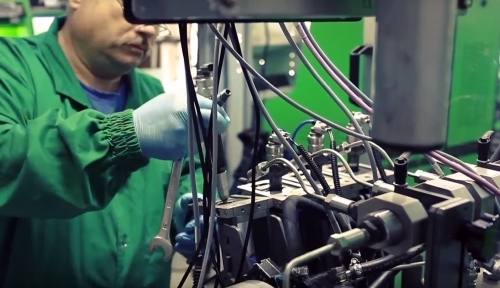 We were among the first companies in Romania to be able to remanufacture many of the new and innovative diesel injectors and pumps such as PDE Injectors, Denso, Siemens / Continental and Bosch Piezo Common Rail injectors, Bosch, Denso Siemens / Continental and Delphi Common Rail pumps. Meeting the equipment and quality in execution standards, in 2002 TDS becomes an authorized service in the Delphi Diesel Systems service network for testing and repairing mechanical and electronically controlled pumps and injectors. Beeing equipped with professional test benches such as Hartridge AVM, Bosch EPS 815, 611 EDX, we are able to perform high quality testing and repairing services for most of the diesel injection systems in the market. The RAR (Romanian Automobile Register) certification for testing and repairing diesel injection systems is a guarantee for our professional, high quality services. Our team is highly qualified, up to date with latest diesel injection systems repairing training. If at the beginning Total Diesel Service aimed to serve the local market (Bucharest and the south part of Romania), at present, with increased production capacity, our products are sold throughout the country and abroad, the main foreign markets beeing United Kingdom and Greece. We can supply our customers with many types of diesel pumps and injectors from stock. International shipments are insured by TNT, unless agreed otherways.